These are the various field options available. 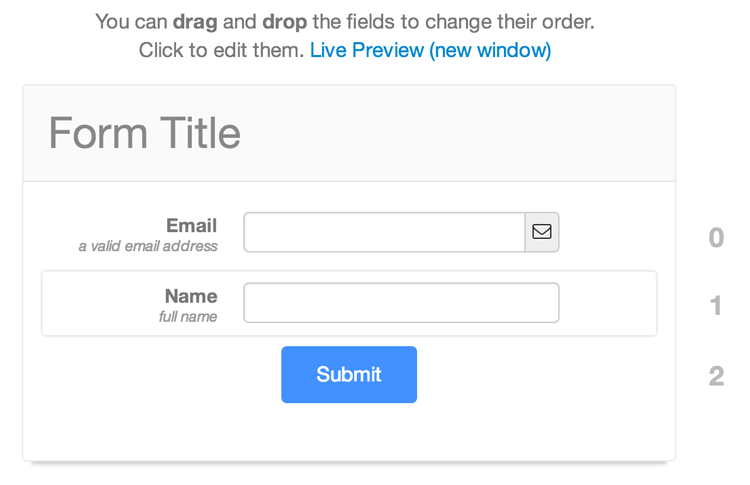 Click on the button to add the field in the form. The Submit button field is added when the form is first used, and it cannot be deleted. File Upload field and Captcha field cannot be added more than once in the same form. The reason why File Upload field cannot be added more than once is that the file uploader supports uploading multiple files, using the same field. Field Options appear in the form builder when you click on a field in the form on the right-hand side. These options appear on the left-hand side, under Form Fields. Most of the fields have a different set of field options. You can Delete the field by pressing the Trash button on the top-right corner. You can see the Form Preview in the right-hand side of the form builder. To edit a field, click on it. When you do so, field options for that field will appear on the left-hand side. 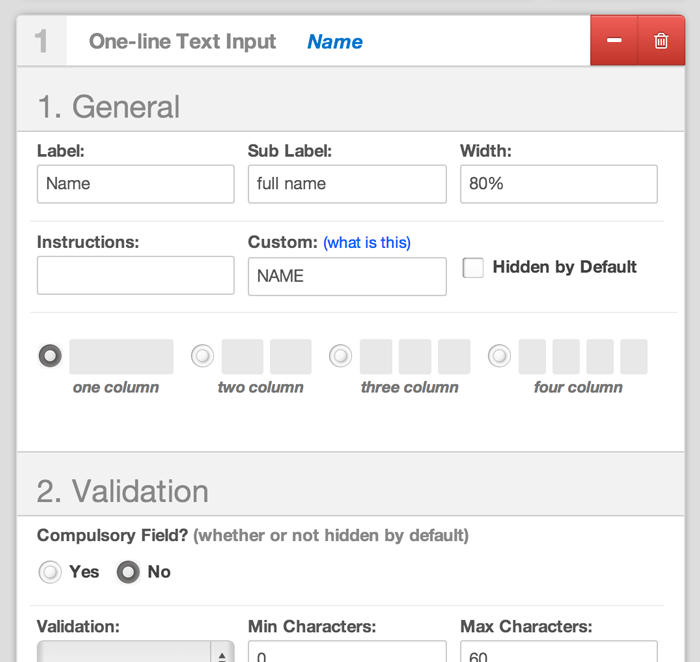 Almost all the changes made to the form, including changes in Form Options, and Styling are updated instantly in this form. To see how the form will finally look on your page (which would be hardly different from the look of the form here) click on the Live Preview link above this form.